This course will focus on the essential jewelry techniques that do not require soldering and is a great place to start for the absolute beginner metalsmith. Using non-ferrous metals such as brass and copper, we will make earrings and pendants. You will learn to anneal metal, saw, file, form and texture metal, cold connect components (rivet) and more. 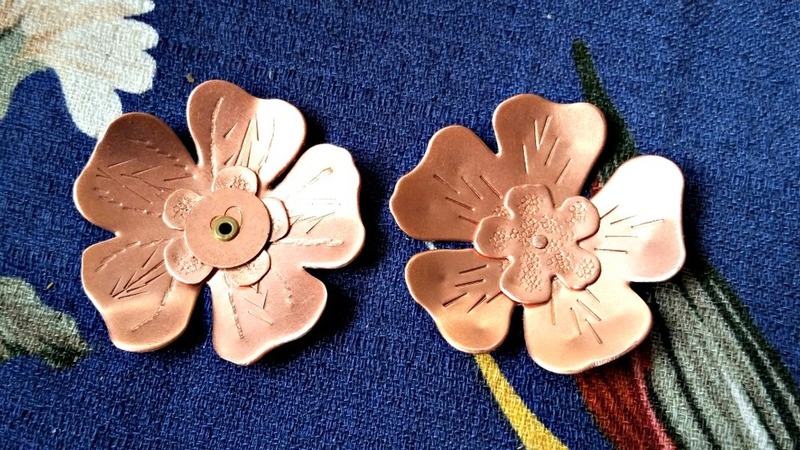 These were class samples used in my teaching class for textures and rivets (tube and wire rivets) - flowers cut with Potter dies.